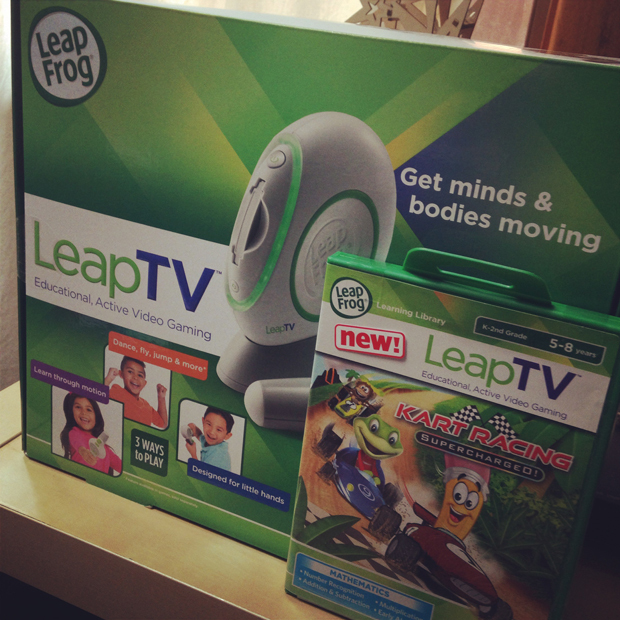 Last month LeapFrog launched the LeapTV. 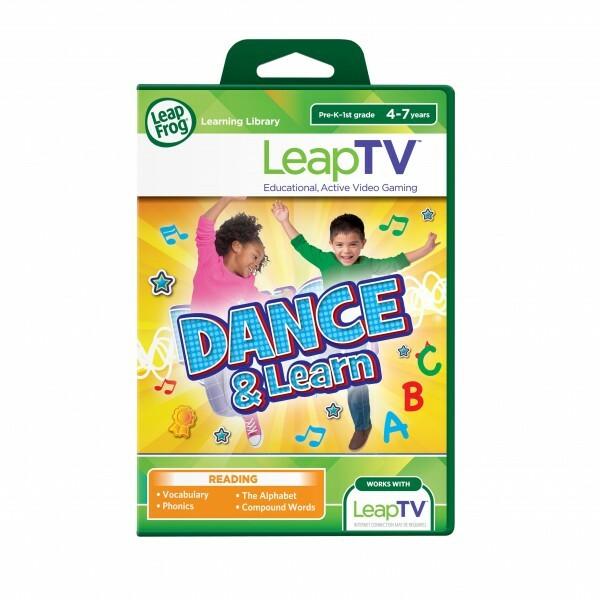 The LeapTV is an active video gaming system made for kids aged three to eight years. Anyone who has a gaming system (Wii, Xbox etc) will know that it’s difficult to find suitable games for younger kids, let alone educational ones! The LeapTV makes learning fun with age appropriate gaming and a controller that is specifically designed for little hands with limited dexterity. Everything you need is in the box and it took me no more than 5 or 10 minutes to have the LeapTV up and running. Once everything is plugged in and ready to go you will need to adjust the motion-sensing camera to the height of your child. The controller is pretty nifty and easy for little hands to use. The controller can be used in two ways, as a classic controller or as a pointer, and it’s really easy to change between the two – see the video below. The LeapTV console and camera are relatively small and don’t take up heaps of room near the TV. The cost is probably the major concern for most people. The LeapTV will set you back around $229 and you will find it in most major retailers and independent toy stores across Australia. It isn’t a huge amount to pay for a gaming system compared to others on the market but given kids will out grow it, it will have a limited life. So what about the games. Currently there are nine games available for the LeapTV however there are only six available on the LeapFrog website. The game cartridges cost $44.99 which is actually pretty good when you consider games for Xbox and Wii etc can be anywhere up to $79.95 (or more!). The games engage kids in various ways and help them learn at a level appropriate to their age. Something at the core of LeapFrog products is the educational content which is translated into a fun way for kids to learn – it’s uniquely LeapFrog! The games use body motion, pointer play and classic control. We haven’t had a chance to try out the body motion function, but it is done using the motion-sensing camera which captures your kids moves and puts them into the game! The Dance & Learn game below is an example of the body motion function. And here is another quality video by my kids 🙂 The first bit of the video below shows how easy is is to turn the controller into a pointer. The second part of the video is a little snippet from a great little LeapTV game we have been road testing – Kart Racing. Kart Racing is a fun Mathematics game for 5 -8 year olds. To play you need to solve maths problems (addition etc) to earn things for your Kart. For example if you answer 2 + 2 correctly you might be rewarded with shiny paint for your racing kart. Once you have answered enough questions you are reading to race! Check out the video about which has a little snippet of the game. Little L who is turning five next May struggled a bit with some of the math puzzles but he looooved the racing (of course). Big M (10 years) and Miss J (8 years) also found the racing a lot of fun and they both said it like Mario Kart. My verdict on the LeapTV is generally positive. There is no doubt that there has been a massive hole in the market, begging for this kind of gaming system. 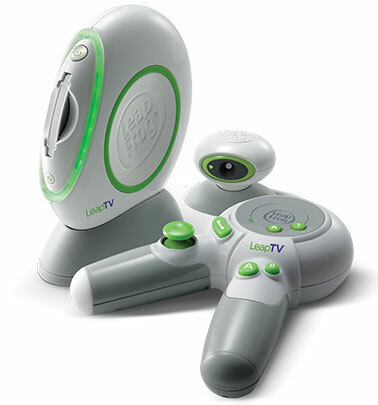 The LeapTV lives up to the quality and educational content you have come to expect from LeapFrog. The price, although at first may seem expensive, is less than other gaming systems on the market. My only issue is the limited life of the system which is suitable for kids 3 – 8 years. 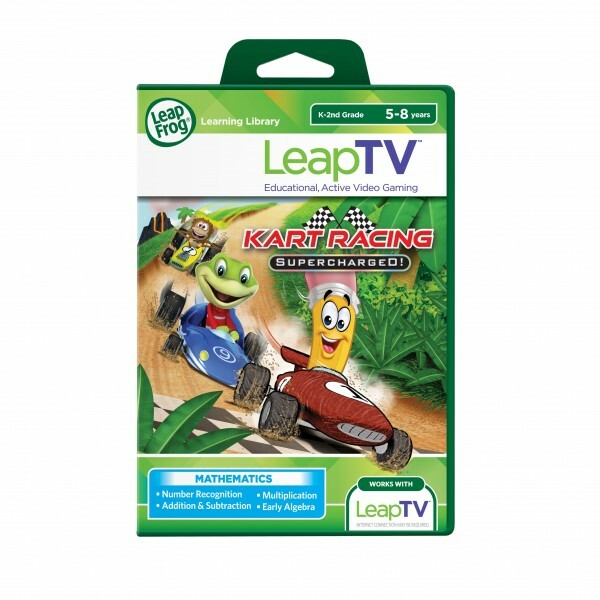 But this may be a non-issue as LeapFrog bring out more software titles for the LeapTV which may encompass a wider age group. If you have kids around the 4-5 year age group I would highly recommend the LeapTV. Visit www.leapfrog.com/en-au/products/leaptv to find out more about the LeapTV. Disclaimer: I received a LeapTV and the Kart Racing game to facilitate this review. Any opinions expressed in this post are my own.